This type of high voltage transformer employs an adjustable output current limiter and is suitable for use in Multiple Wave Oscillator, Tesla transformers and similar types of devices. The high voltage transformer is built on custom made high quality transformer steel core rated at 1 kW. The primary and secondary windings are physically separated to improve mutual primary to secondary insulation and individual layers of secondary windings are additionally insulated with sheets of mylar. In order to increase safety in the unlikely event of the insulation breakdown secondary windings have centre tap which is connected to the transformer steel core and is usually grounded. 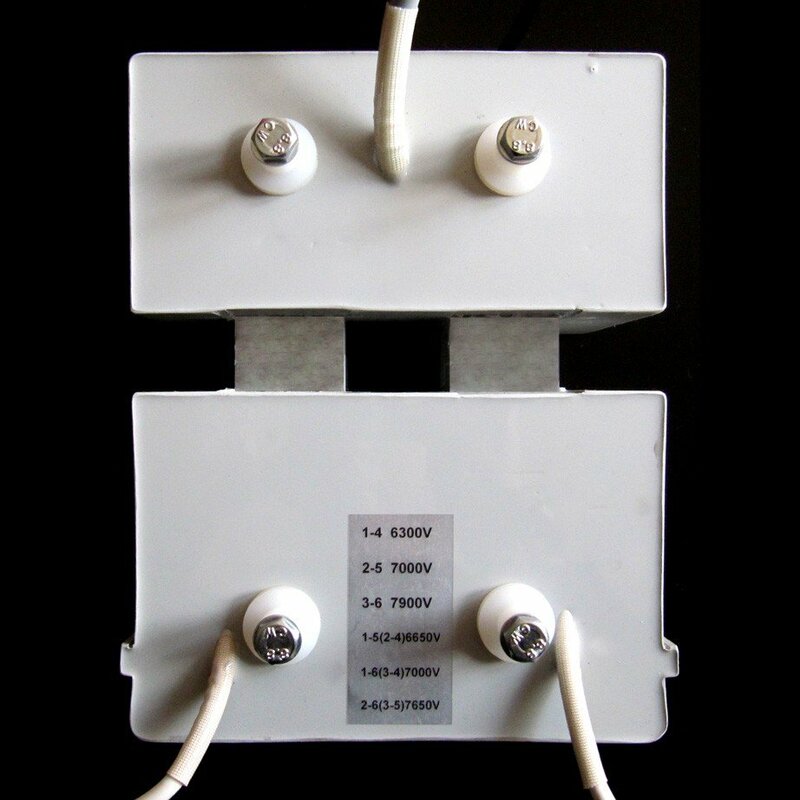 Secondary windings can be wound to virtually any requested output voltage/current combination up to 800 – 900 W. Additional taps on the primary windings provide different voltage ratios so different output voltages are available to user thus omitting the need to use adjustable input transformer (VARIAC). 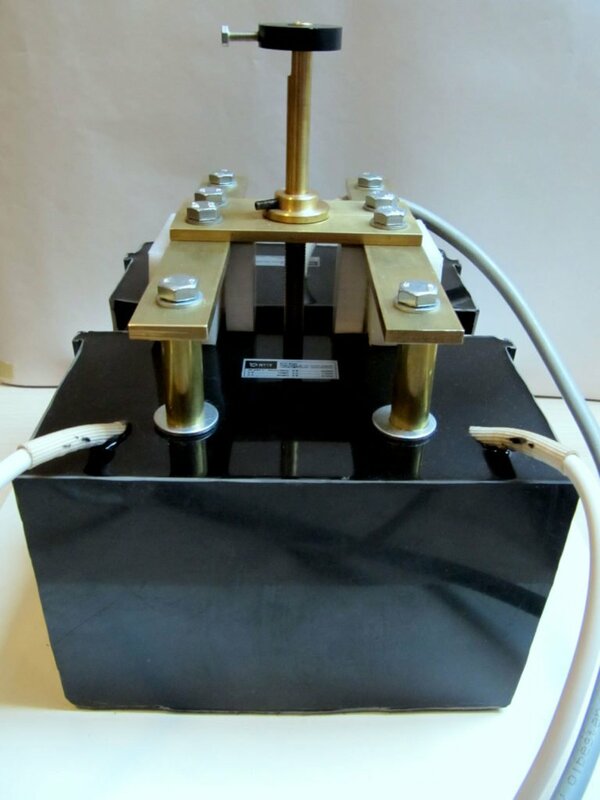 Apart from adjustable laser cut core used for output current limiting the entire transformer is cast into high voltage polyurethane (45 kV/mm) which is then vacuumed to remove remaining air bubbles after which it is cured in high temperature oven. The entire transformer weighs 15 – 17 kg and it can be mounted inside enclosures by means of large embedded threaded nuts. Current limiter adjustment mechanism is custom machined and it is mounted on the finished transformer. Adjustment mechanism is used to move precision cut magnetic shunt in and out of the transformer core thus limiting output current with virtually no effect on the output voltage. Due to use of teflon sliders the current limiter magnetic shunt produces barely audible noise and hum during operation while providing current adjustment from ~25 – 100% output current range.